Garage doors don’t only provide a means for you to enter and exit your home. They take up a major area of the exterior part of your home which is why they need to be aesthetic in appearance apart from being functional. When selecting a new garage door, it is better to think as if you are buying an exterior décor item and not just simply another door. Moreover, also take into account the installation of the door too because it can affect the appearance of the garage door. The vast experience that we have in garage door installation in Santa Ana is why we are your go-to option when it comes to installing a new garage door. We have been working with top garage door brands like CHI, Overhead Garage Doors, Clopay, Amarr, Wayne Dalton and 1st United Door Technologies for years and know how to install the garage doors of these brands in the proper manner. 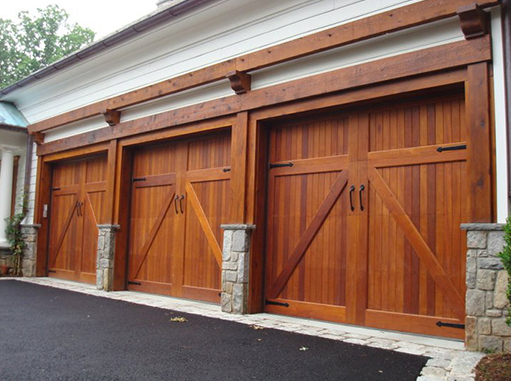 Garage door openers serve the purpose of lifting the door from the ground. Remote panels and garage door openers are often confused with each other even though they are very much different from one another. The remote panel is only used for operating the door while the door opener does the actual task of lifting the door. Installation of the door opener is a little tricky and should only be done by an expert. A number of varieties of garage door openers can be found in the market. These door openers have different control level to offer you. We have experience of working with all major brands of door openers and we allow you full freedom in choosing the door opener you like. Having plenty of experience in garage door opener installation in Santa Ana, we can install and replace door openers of all types with considerable ease. As one of the quietest and best openers in the market, Belt drive garage door openers are covered by a warranty of life time from the side of manufacturers. As it is really dependable and quiet garage door opener, it is the top among all garage door openers. To lift the garage door a different way is used by Screw Drive Garage door Openers and that is why it is why it is better than different types of chain drivers. A steel rod which is threaded is the main mechanism of this opener. These openers are really very powerful units with some movable parts and they need little maintenance only. As a unique type of garage door opener “Direct Drive Jackshaft Openers” have become famous and these types of openers are mounted to the wall next to the garage door naturally. As it gives more ceiling spaces so this opener is really important for the low ceiling based garage doors. An extremely quiet DC motor works as the power house of this opener. There are two completely different types of spring to use for your garage door. These two types of springs are known as garage door extension springs and garage door torsion springs. If your garage door is really light enough then it is helpful to use Garage Door Extension Springs. This spring is usually placed next to the garage door track. Garage Door Torsion Springs are perfect for your heavy garage doors which are places above the opening part of a door. To select the perfect garage door spring for your garage door you just need to call skilled and experienced garage door repair service technician. Our skilled technicians are ready to select the perfect garage door spring for your garage door. Moreover our technicians are able to repair your broken garage door springs. If you start to repair these types of problems by yourself then you may face some dangerous moment as on the garage door there is a heavy spring loaded tension. So Garage Door Repair Santa Ana recommends you to call for an expert. So it is better and helpful for you to leave the installations, repairs and replacements on Garage Door Repair Santa Ana as we are experienced, skilled and certified and we are working in Santa Ana for a long time.